This month Saenchai travels the US with the Yokkao Seminar tour. Famed fighter who won Lumpinee championship belts in four different weight classes shares his knowledge in numerous cities across the States. On February 4 Saenchai visited San Diego, CA. 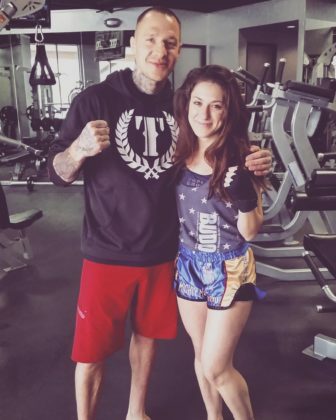 This is where the “King of Muay Thai” out of Thailand “faced off” Jessica Crum aka “Mighty Mouse”. Living in San Luis Obispo, Jessica Crum, 22, grew up in Alice Springs, Australia. She was one of the attendees of Saenchai’s seminar. “Mighty Mouse” had the opportunity to share the boxing ring with the man who last year expressed no doubts in his victory over Conor McGregor: “If he and I were to fight, McGregor couldn’t beat me. 100%,” he said among everything. 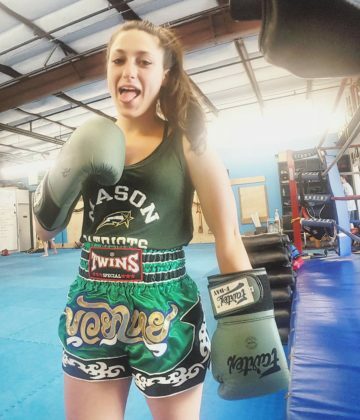 Although to date having a single fight behind her belt, Crum says she wants to train Muay Thai for the rest of her life, and fight until she can’t anymore. 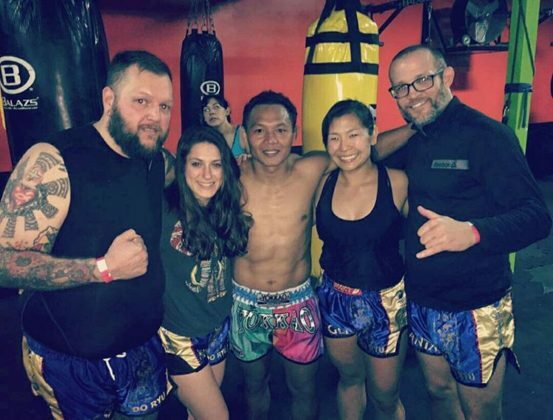 Saenchai certainly topped up the bill of Crum’s inspiration by the Art of Eight Limbs. Well-known by his cartwheel kicks, Thai fighter appeared “very funny and seemed extremely nice”. 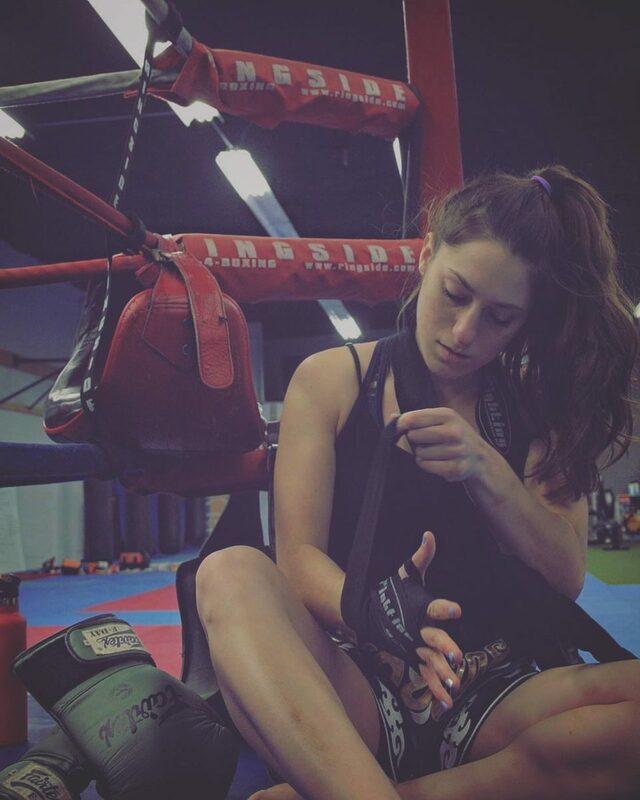 In addition, Jessica Crum shares numerous muaythai training photos and videos on her Instagram. She also reveals the hidden meaning behind the name of “Mighty Mouse”.